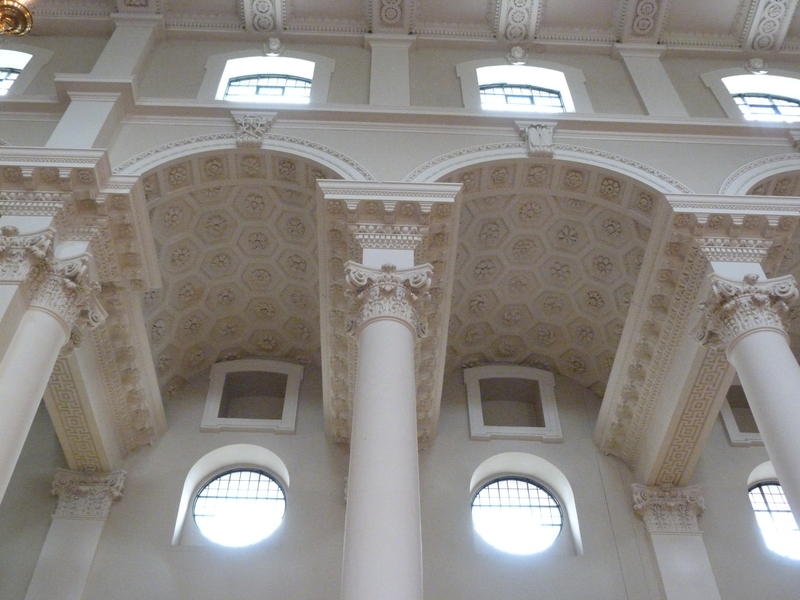 On this day in 1566, the first stone of the original Royal Exchange was laid (*). 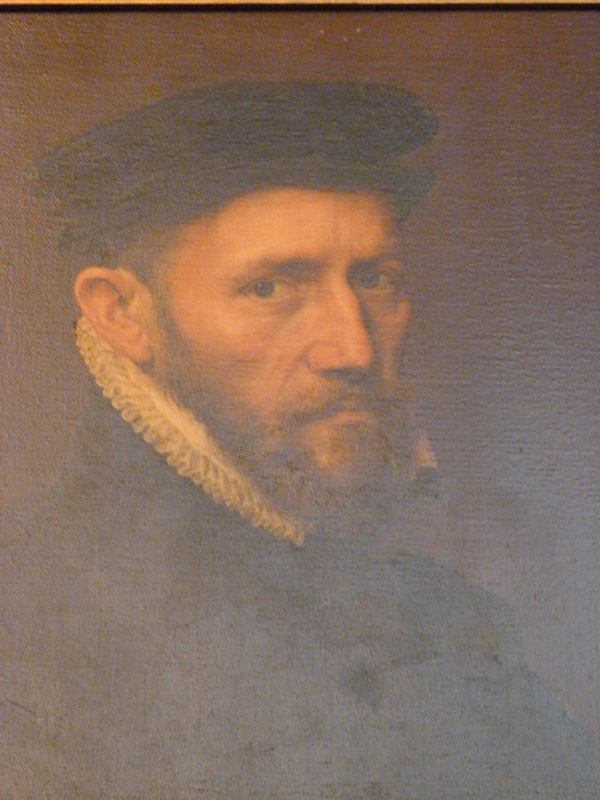 The building, modelled on the bourse in Antwerp, was the brainchild of the City financier and philanthropist Sir Thomas Gresham (1519-79). 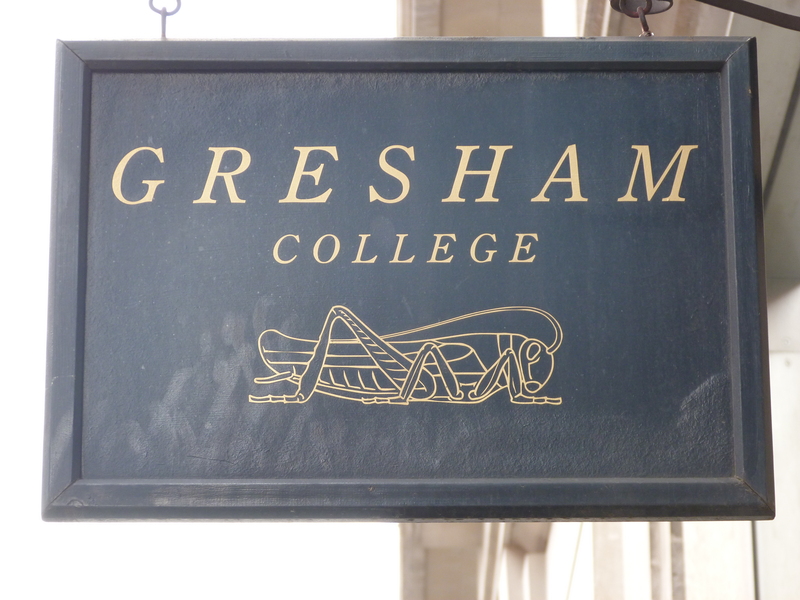 Incidentally, Gresham also founded Gresham College, by bequest. 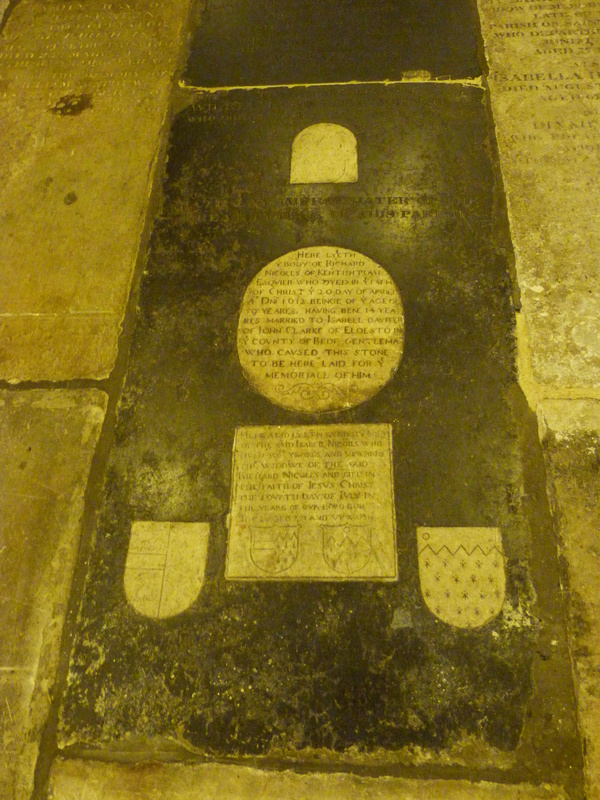 He is buried in the church of St Helen, Bishopsgate. 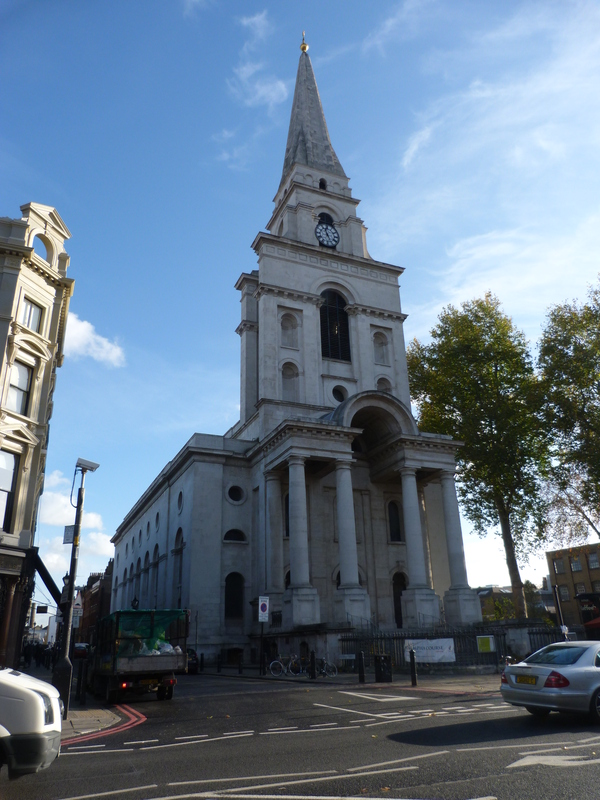 … and a second replacement was in turn built in 1844. The grasshopper on the top of the building is Gresham’s insignia. 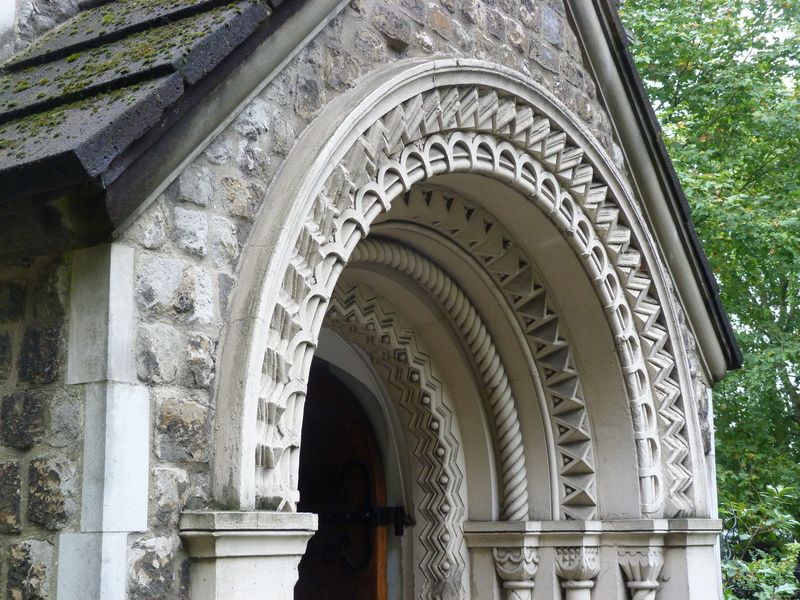 (*) Much to the disgust of native Londoners, the architect was a foreigner. On a related note, a census taken in the City on this day in 1567 revealed the presence of “40 Scots, 428 Frenchmen, 45 Spaniards, 140 Italians, 2030 Dutch, 44 Burgundians, 2 Danes and 1 Liegois”. This entry was posted in 16th century London, Great Fire of London, London History, On this day, Post-Medieval, Tudor and tagged Gresham College, Royal Exchange, St Helen Bishopsgate, Thomas Gresham, Thomas Vincent on June 7, 2018 by Bob Jones - The Lost City of London. 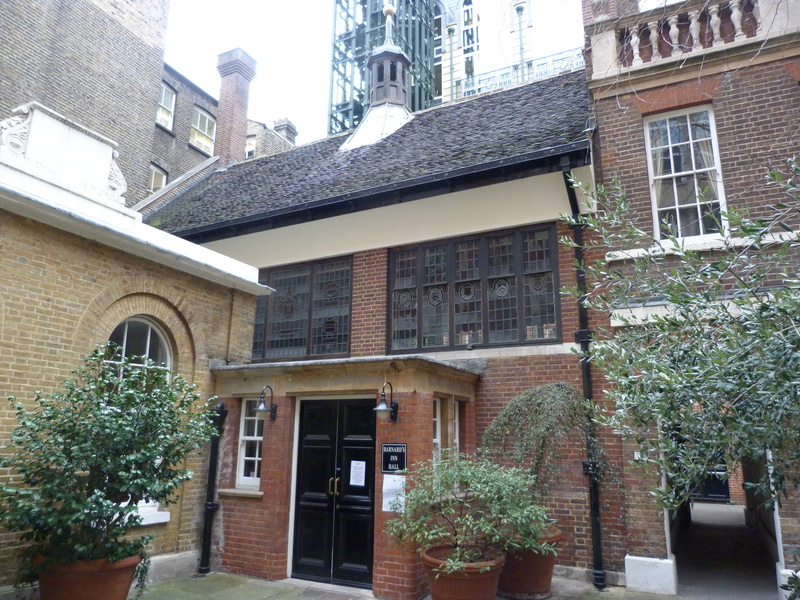 Barnard’s Inn, which dates to the late fourteenth- or early fifteenth- century, is one of the Inns of Chancery, thought to have originated in the Medieval period as a place where chancery clerks were trained – in the preparation of writs – and also where they were housed. 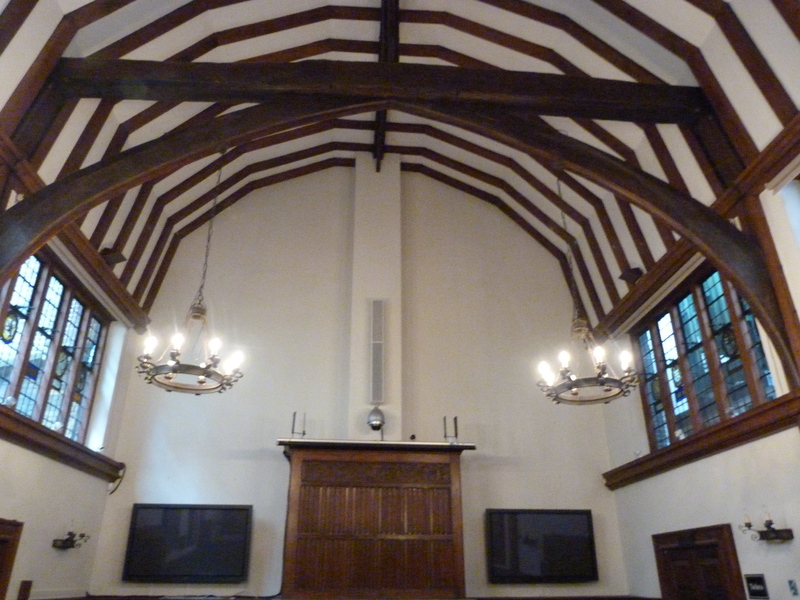 By the middle of the fifteenth century, it had become a place where students of the law could train as solicitors (lawyers who counsel their clients in chambers); and by 1530, it had become affiliated to Gray’s Inn, one of the Inns of Court, to which they might be “called to the bar” to train as barristers (lawyers who represent their clients in court). 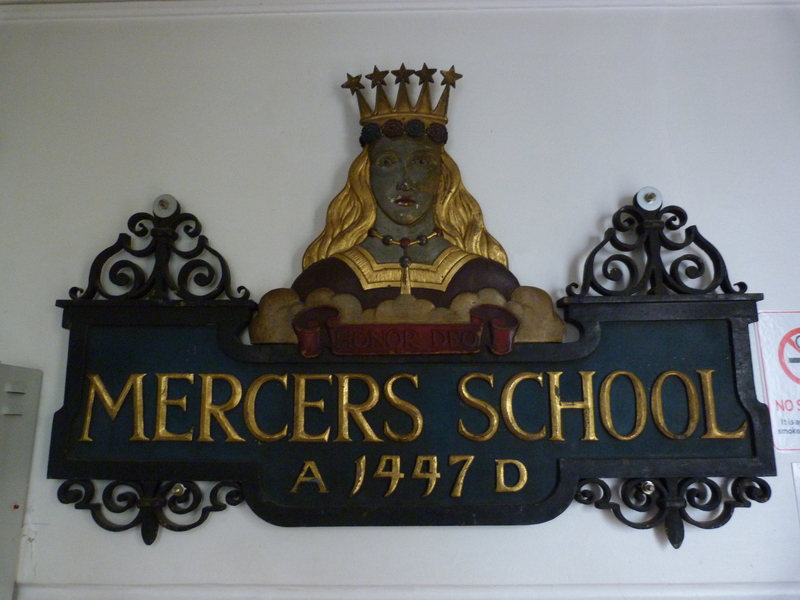 By the eighteenth century, it had ceased to have much of a legal educational function, as by then students could enrol directly in an Inn of Court; and by 1892 it had become so little used that it was sold to the Mercers Livery Company to house the relocated Mercers School, which it did until 1959. 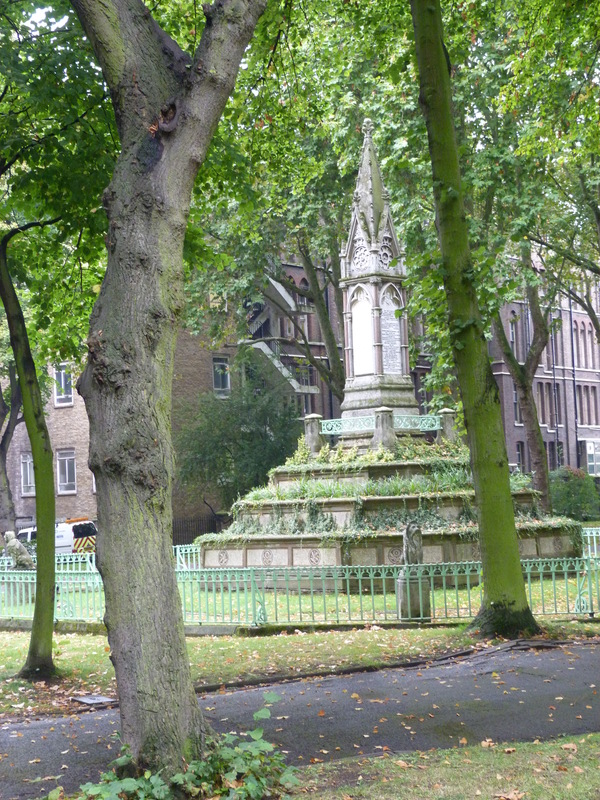 Since 1991, it has housed the relocated Gresham College. “Neat proportional systems seldom appear in the geometry of solids and voids on which his architecture especially depends”. 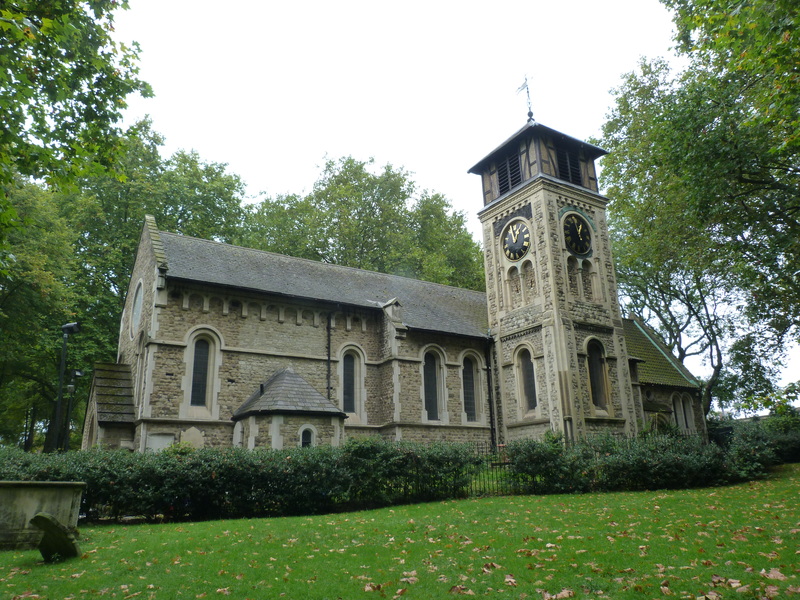 St Pancras Old Church may legitimately lay a claim to being the oldest place of Christian worship in London, although almost all of its ancient fabric was destroyed during the Victorian rebuilding of 1847-48 (the church has also been restored, rather more sympathetically, a further four times since then – in 1888-95, in 1925, in 1948, and in 1977-81). 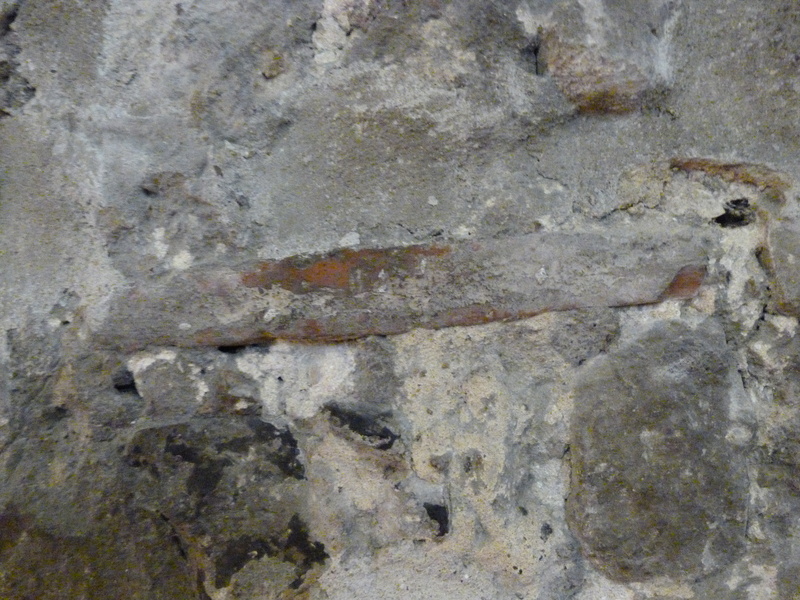 There are pieces of Roman tile incorporated into the surviving Norman north wall of the church, and it is possible, although not proven, that these were taken from a late Roman, i.e., fourth-century, church that once stood on the site (which was perhaps previously the site of a pagan compitum or shrine, in a typical location for such on elevated ground adjacent to a water-course). 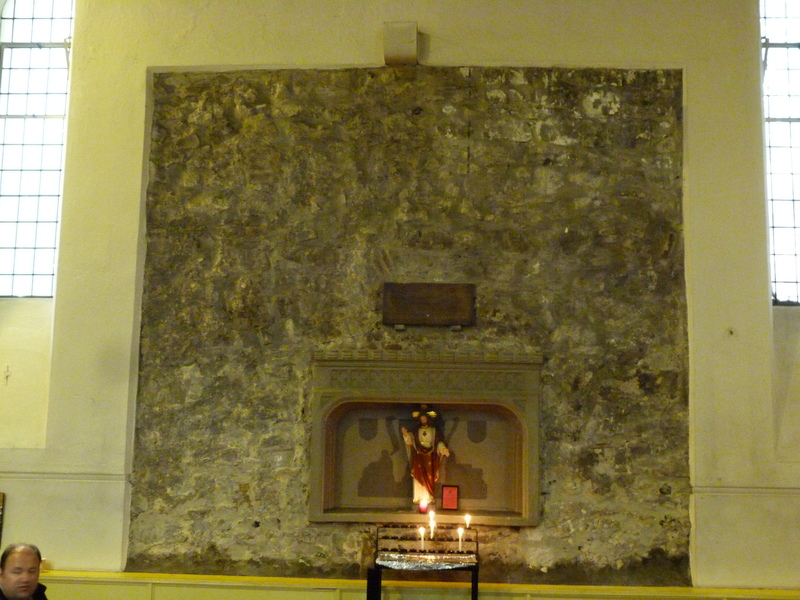 In 1955, the local historian Charles Lee even suggested a date “possibly as early as 313 or 314” (313 was the year of the issuing of the Edict of Milan, which ensured tolerance of Christianity; and 314 was the year of the Christian Council of Arles, known to have been attended by at least one representative from Roman London or Londinium, whose name was Restitutus). 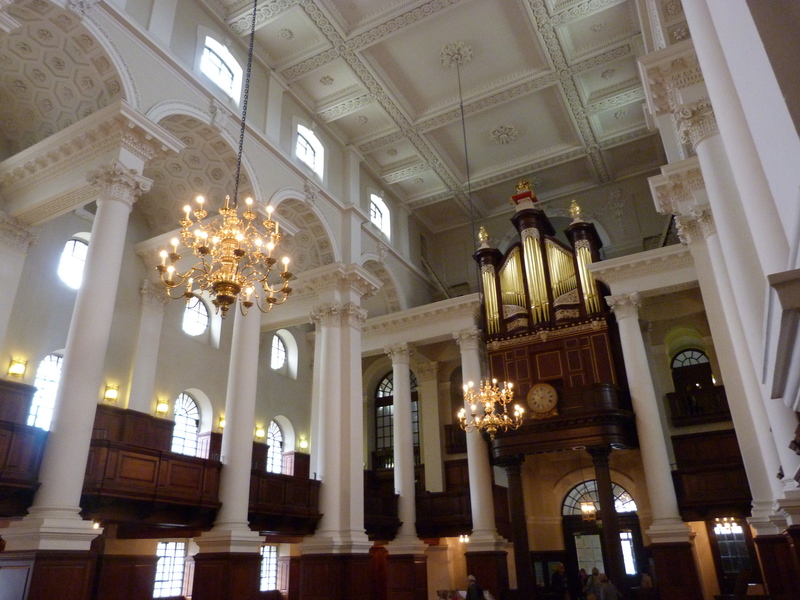 Note also that 304 was the year that the patronal Pancras was martyred on the orders of the Emperor Diocletian. 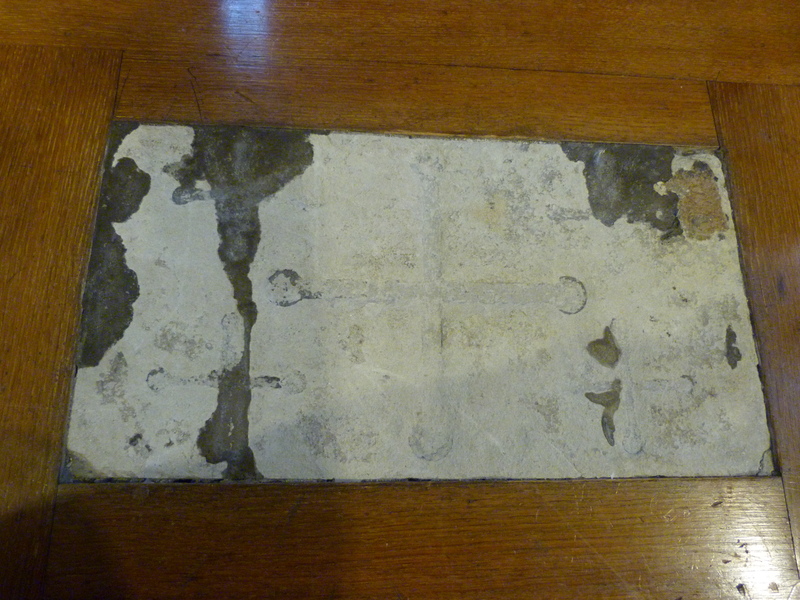 There is also a Saxon altar-stone of Kentish Rag inlaid into the Georgian altar-table. 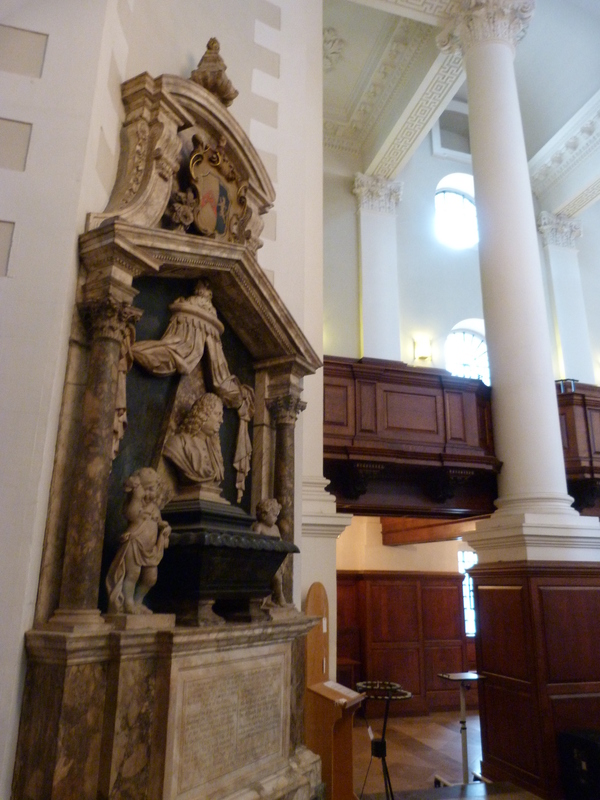 The altar-stone, together with some fine pieces of Elizabethan and Jacobean silver plate, was hidden away during the Civil War and Commonwealth of the mid-seventeenth century, and was only rediscovered during the rebuilding of the nineteenth. It depicts one large cross surrounded by four smaller ones, making a total of five, symbolising the number of wounds received by Christ on the cross. The unusual form of the crosses, which have distal nodes, is reminiscent of that on the tomb on a small island in the Firth of Lorne of Columba’s mother Eithne, who died in 597. 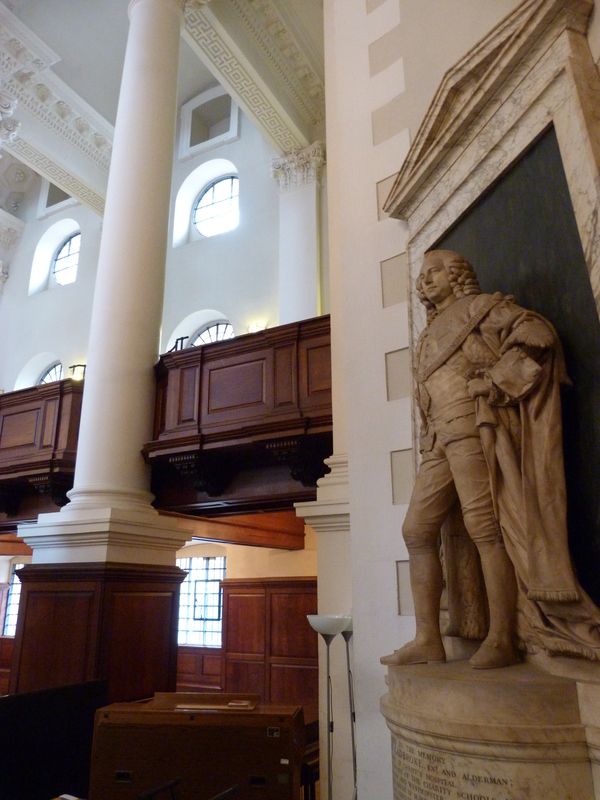 It is thus suggestive of a date around the time of the conversion of the Saxons by St Augustine, also in 597, and the construction of the first incarnation of St Paul’s Cathedral, in 604 (interestingly, the land on which the church stands was granted to St Paul’s in 604 – by King Ethelbert). 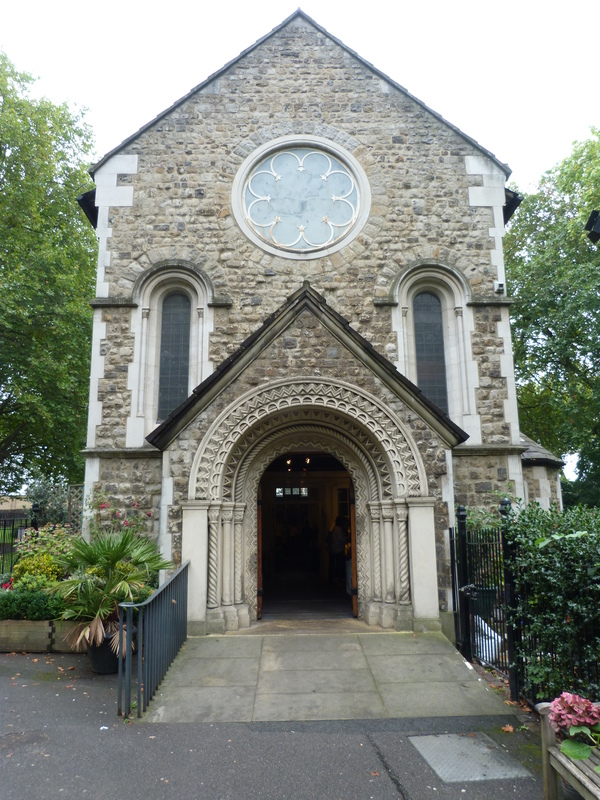 This would make it significantly older than the Saxon arch in the church of All Hallows Barking or All Hallows by the Tower in the City of London, which dates to around 675. 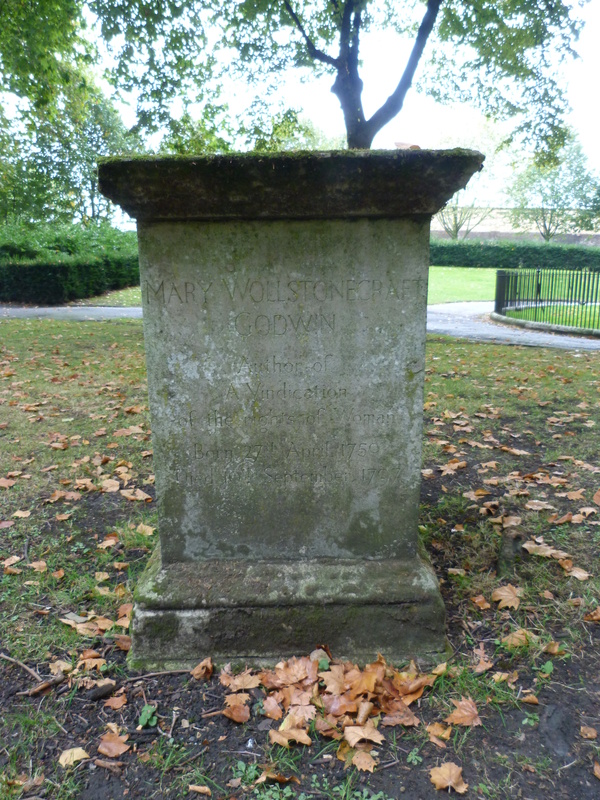 The correspondingly atmospheric seventeenth- to early nineteenth- century churchyard contains a number of notable graves, including that of the philosopher and women’s rights advocate Mary Wollstonecraft, author of “A Vindication of the Rights of Woman” (who died in 1792, ten days after giving birth to her daughter, also Mary, the author of “Frankenstein”), which was relocated from its original position during the construction of the nearby railway, at which time the body was disinterred, and reinterred in a family plot in Bournemouth; and that of the architect Sir John Soane (d. 1837). 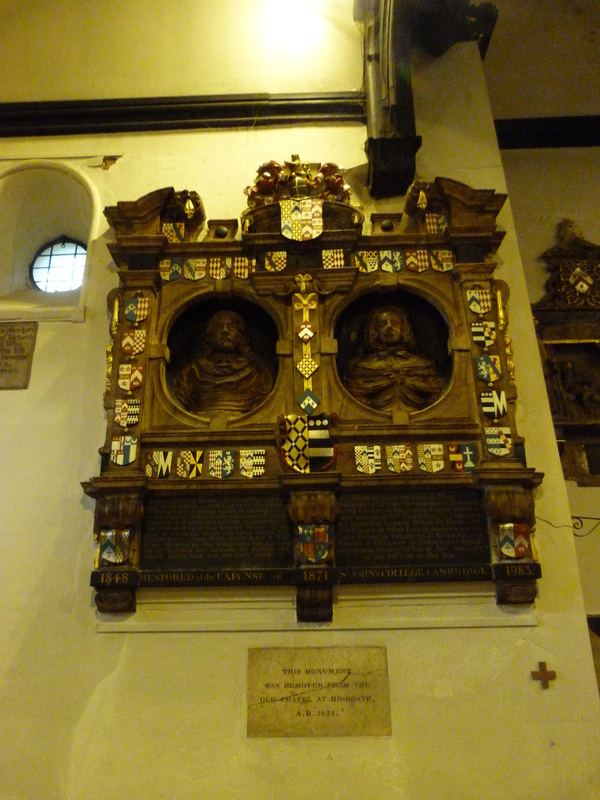 It also contains an ornate memorial to Baroness Burdett Coutts, who is buried in Westminster Abbey. 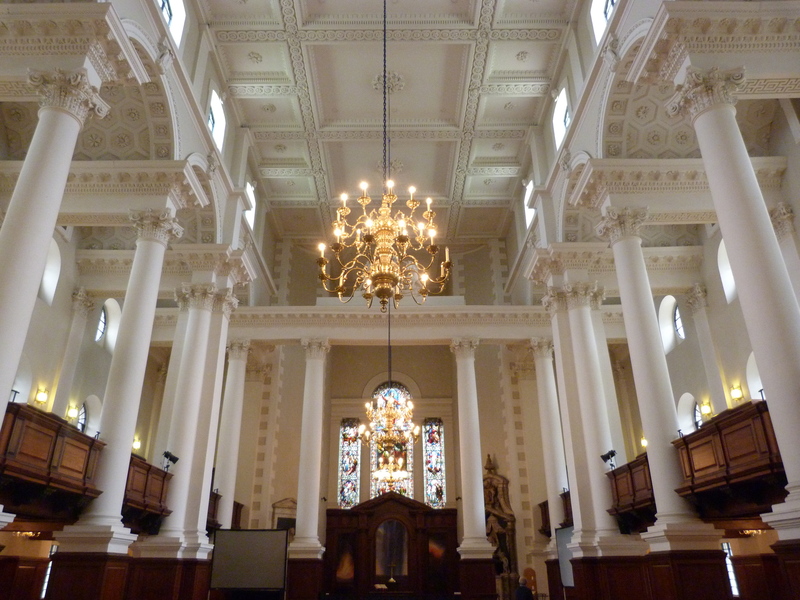 This entry was posted in 15th century London, London Churches, Medieval, Roman London and tagged Gresham College, Inns of Chancery, Mercers School on September 20, 2014 by Bob Jones - The Lost City of London.